Keeping your home and building establishment clean and safe from pest and bacteria can be time consuming but very rewarding. One of the most common household problems is mold. Mold can spread within 24 hours and can trigger asthma and serious illness. 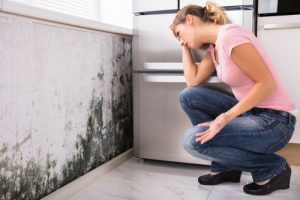 Most of you don’t know that there are different types of mold that may invade your home or properties. A musty smell is the first sign of mold growth and it can spread fast. As soon as you discovered mold call a mold inspection and remediation team like ServiceMaster 24/7. ServiceMaster 24/7 only employs the best efforts to ensure that you get the services you want. We have served Boca Raton, Boynton Beach, Deerfield Beach, Fort Lauderdale, and Pompano Beach areas. For emergency damage restoration and cleaning services in South Florida, call us at 954-969-5906 or message us here. Water intrusion is one of the main reasons for structural damage and can be a breeding ground for mold so if you’re going to be gone for an extra day or two make sure to check everything before going. It is easy to recognize the problem if you are home for example you notice a moisture coming from somewhere in your stained drywall, or on your ceiling tiles. Even if you tried to clean it before going to your vacation there would probably be mold when you return from your vacation. 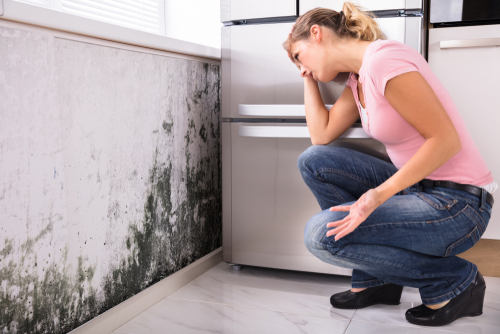 The most common mold is black growths but they can also be white gray, brown yellow and green. So before you pack your bags and go call a mold removal company like ServiceMaster 24/7 that can send professionals 24 hours a day and have the right equipment. You can call 954-969-5906, ServiceMaster 24/7 for inquiries and details. The best ways to deal with mold is to prevent it from happening. If the drying of wet building materials is initiated within 24 hours there is excellent chance of preventing mold growth. But if the building materials remain wet it is expected that mold would start to grow. Once mold is existing, drying it is not enough it’s either you remove or decontaminate the moldy material. For accurate and fast response call ServiceMaster 24/7, the best mold Removal Company. Call 954-969-5906 to save time and effort. PreviousPrevious post:5 Reasons to Hire Professionals for Tile and Grout CleaningNextNext post:What is Deep Cleaning and How Long does it Last?